Looking for someone to manage your new or existing cloud infrastructure? Let Bell Shore Technologies be your go to partner to help you manage your cloud services. Bell Shore Technologies can manage, monitor, and troubleshoot your cloud implementation. Cloud implementations can sometimes be difficult to troubleshoot. 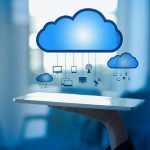 Bell Shore Technologies can use its cloud experience to find and correct issues affecting your cloud implementation.